Sundance Grand Jury Prize-nominated Indian film Fire in the Blood has been held over for a fourth week at PVR Phoenix in Mumbai, thus becoming the first-ever nonfiction film to achieve a four-week commercial theatrical run in India. Fire in the Blood tells the story of a unique and eclectic group of people who came together from India and other parts of the world to stop the ‘Crime of the Century’, whereby low-cost AIDS medicine was being deliberately withheld by Western pharmaceutical companies and governments from reaching Africa and other parts of the developing world, resulting in a minimum of ten million needless deaths. The film has won three major international awards, including the Prize for Political Film in Hamburg in early October, and has been consistently listed as an outside Oscar contender in the documentary feature category by The Hollywood Reporter and other US industry sources. 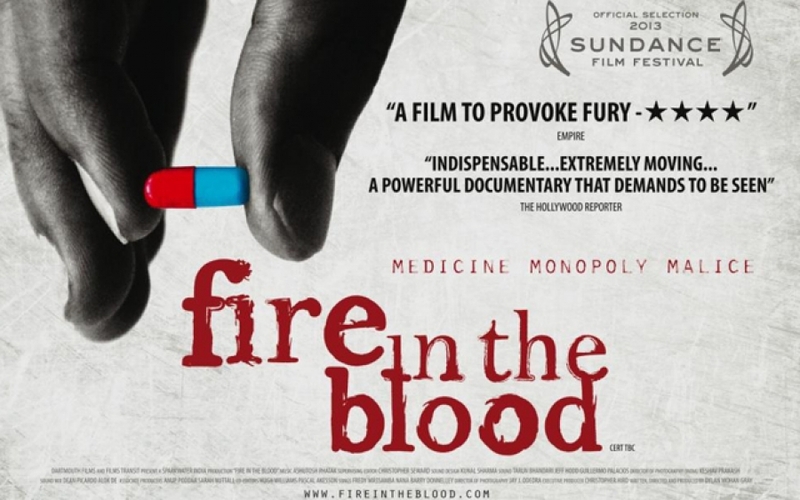 Leading critics such as Anupama Chopra and Rajeev Masand, along with star journalists like Barkha Dutt, have championed Fire in the Blood, which had earlier released theatrically in the US and UK to rave reviews. Fire in he Blood is narrated by Oscar-winning actor William Hurt. Along with Mumbai, the film opens at PVR Lulu in Cochin on November 1st.